“What do I need to know when it comes to hiring enterprise-level PPC management services”? How do I find the best PPC marketing leader who can help me hit my business KPIs on time and budget? If that’s at the top of your mind, you’ve come to the right place. Let’s discuss 9 most critical things you need to know, as you look to hire an enterprise-level PPC agency. Like most SaaS companies, you’ve likely invested in a big inbound marketing strategy. You put out white papers, webinars, lead magnets and likely did some serious SEO work. But you still can’t hit the KPIs you were hoping for! Is Google even worth it when your leads are costing you between $40-$200 dollars on average? You’ve had some agencies send PPC traffic to your website, but your conversion rates were abysmal and you couldn’t justify paying such high CPAs for those leads. 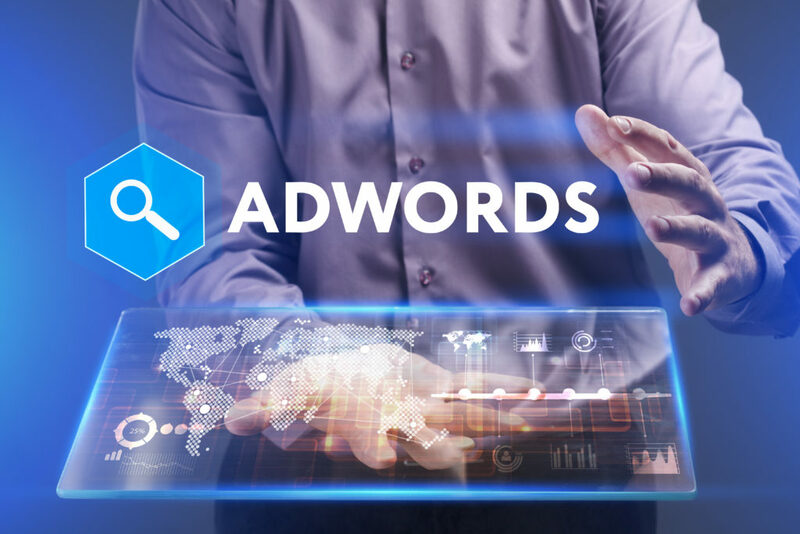 PPC has gotten more complex than ever before and to succeed in this competitive and overcrowded marketplace; you must have the right PPC marketing strategy, supporting tools and marketing infrastructure in place. How do you implement this might you ask? Well, you can dominate the top of Google, if your PPC management provider can “install” the following marketing systems in place…. When we talk about a PPC measurement framework, we’re talking about the marketing funnel that includes your business KPIs in the context of PPC traffic. If you’re a SaaS company, your PPC agency will assist you in identifying what successful performance looks like for your campaigns. 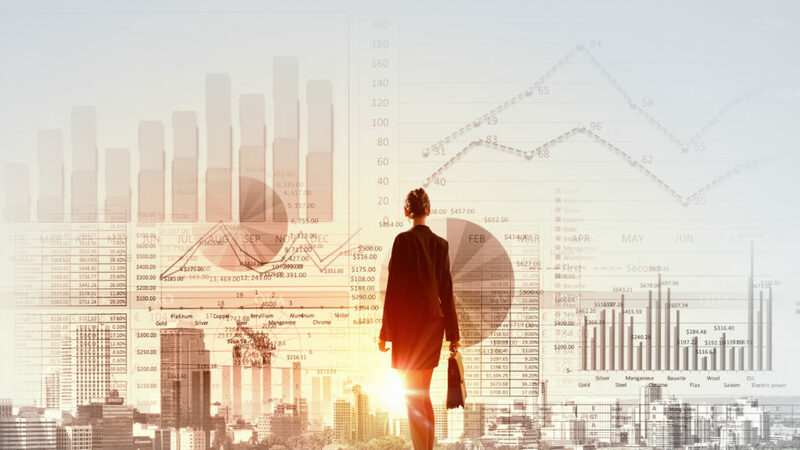 You might have done some work in this arena already, but what YOU think is a success, may, in fact, be a data-driven decision vs. a data-informed decision. These are two completely different things! Everyone on every Google blog post you’ve ever read the last 10 years, said that it’s all about being data-driven. Data-driven decisions can lead you in the wrong direction because data can lie. However, a data-informed decision can tell you that you’re wasting marketing dollars retargeting users that you should not. It may sound like a smart play on words, but I assure you it’s not! High-level insights, without a proper foundation, to support your findings, will make you think your $1 Facebook leads are fantastic. You’ll think that you should spend more money on those audiences. So you jump on the happy train to “Facebook riches” and pour thousands of dollars acquiring those $1 Facebook users. If you look deeper and track the user journey of those leads from start to finish, you realize 90% of $1 Facebook leads are never going to move from a free-trial user into a paying customer. What could be even worse though, is these types of users do convert from free-trial into short-term customers, but they don’t stick around. It creates all sorts of confusion with attribution modeling, LTV modeling and many other funky issues with data. Furthermore, 1 million dollars later, you realize these $1 Facebook leads, only seem to keep adding to the root of your churn issues. You thought you were making a smart data-driven decision! You invested millions of dollars into it, only to realize it’s the wrong audience to target because it creates more problems than it’s worth. Now, if you realized this mistake early enough and didn’t keep feeding the Facebook beast your precious marketing dollars, then you’re okay. But most SaaS companies are not set up this way and keep “acquiring users” for years on end with no real profit in sight. So they end up always “fighting” churn. All SaaS companies know how super fun that is. Right? Quick, we need more users at a lower CPA, as “other” ones are too expensive and they’re killing our profit margins. But “reducing churn” can be a significant discussion on its own and a completely different topic for another blog post…. So as you continue down your data-driven glory path of $1 Facebook leads, your competitors might have taken the longer data-informed route. With proper tracking front to end, they realized retargeting free-trial converters from Facebook is a waste of marketing dollars and causes high churn-rates in their SaaS. Thus, they shifted marketing budgets into a specific segment of users and zeroed in on other platforms, tactics and so forth, because they’re data-informed! Now, of course, you have to test different marketing platforms with a substantial budget behind it so that you can track user behavior from beginning to end. As you test and get different types of users, you want to understand lead performance. It means you must have a robust PPC measurement framework in place to avoid wasting marketing budget on the wrong audiences for years on end. Also, remember that your PPC measurement framework must be different for SEM and Social Ads because they’re two different types of platforms. SEM is wholly based on user-intent and is more of a direct-response platform. When you go after users on social channels, you will use an interruption-based marketing approach. It’s usually driven by engagement-based metrics, more so than hard CPA goals. This means $1 CPA on Facebook vs $10 CPA on Google isn’t equal if you take the data-informed route. If you dig into your data insights, you’ll see who pays you serious cash for years. You can then compare them to those who took the free-trial to only stay for a 1 month and never paid you a dime. So what’s the shortcut to speed up your success here? It’s extreme personalization, user segmentation, UTM parameters and profound attribution insights into every type of media that you run. It’s 100% worth it if you want to succeed as a SaaS. You should spend 50% of your time on gathering deep insights about the behaviors of your leads across different channels, funnels, tracking LTV and so forth. Another massive and somewhat lazy mistake we see from a lot of PPC providers when we do SEM audits is the lack of customized landing pages for different ad-groups or ad sets within Facebook and Google campaigns. At the very least give you clear direction and support on best practices for CRO. It means following best A/B test set up practices, tracking implementation on all pages, maintaining brand identity and ad-scent on all landing pages and creatives. Correspond to the creative messaging, to avoid user confusion. Have content on each landing page that corresponds to ad-groups, keywords, and ads in all your SEM campaigns. Maintain the creative ad-scent on both, the ad and the landing page. It means your user should feel “at home” when they click your ad. Your landing page should have content like your social ads and is a natural extension of your ad-copy that sells them on the one big idea. If you have the resources, test out videos across landing pages, above and below the fold. Another big talking point for any SaaS is using search and display remarketing strategies within Google and Facebook Ads. Your enterprise PPC management service provider should help you test and build out different re-marketing strategies across your PPC channels. Remarketing can often make or break your PPC campaigns. Remarketing campaigns can be an incredible user acquisition accelerator. These campaigns can increase wasted ad-spend retargeting 90% of users that will stay on the free plan for a very long time. Some ways to combat this is to use video remarketing outlining specific features and benefits of your SaaS. Wait, did someone say YouTube remarketing? It’s remarkable how little YouTube gets used if you want to get highly-targeted traffic back to your site. It’s not an easy platform to succeed on, but with the right keyword strategy, robust measurement framework, a compelling catchy message it can work wonders for any SaaS. Any strong enterprise PPC management service provider should be able to provide your SaaS, given the right scope, with proper tagging solutions, like Google Tag Manager and a comprehensive reporting Dashboard. All new agencies that are leaders in the PPC space can build interactive dashboards that work with your business KPIs. Building a dashboard can help you get actionable insights about your data in a visual format. It depends on what type of insights you’re after on a daily or weekly basis. Did you notice we didn’t say excel reporting? Now, of course, excel can do beautiful things, and we love our spreadsheets to death! But it’s not very easy to pull out insights and take serious action on data with excel reporting. Not to mention, it’s very tedious work. As a side note, there is a fantastic AI-powered tool that can help you with insights gathering called AI automated insights. 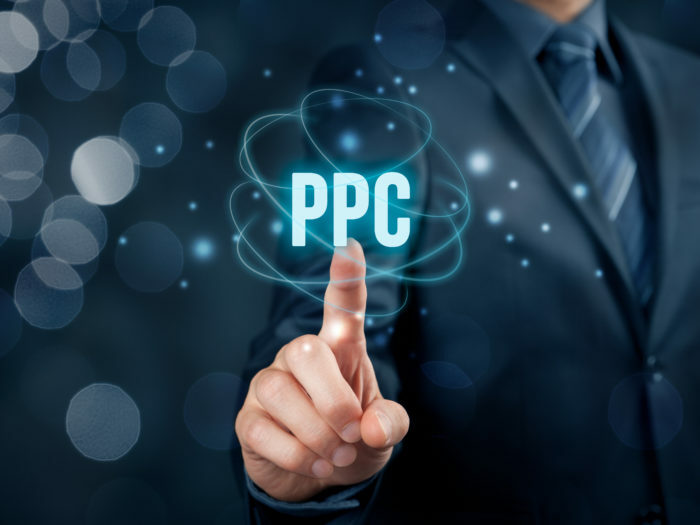 Now, any great enterprise-level PPC management service provider should be regularly reporting on their PPC performance in a format that works for your brand. Whether you’re running programmatic media buys, YouTube Ads, Facebook Ads or Google Ads, the PPC Agency you hire, should make every effort possible to help you understand what’s happening with your marketing dollars. If your enterprise PPC management service provider can’t provide actionable data insights, then you should think twice about hiring them. You should discuss this at the beginning of the engagement because KPIs must align with your business goals. Your conversion metrics should be different at each stage of the funnel. That’s where focusing on user engagement comes in handy. This means you must know where the user is clicking and how long they’re spending on each page. Did the users bounce from the site, or are they returning? The audiences you can segment are almost endless in Google Analytics or Adobe Analytics. Also, user behavior and user experience is another thing to keep on top of. You should look to install user tracking scripts from companies like CrazyEgg, Hotjar or Fullstory.com to understand user behavior. It can give you a lot of insights into site problems, CRO problems and why users don’t convert. Maybe they don’t scroll below the fold at all, and you prominent CTA is somewhere halfway down the page. Perhaps your CTA is too far down, and 90% of users never scroll that far down the page. 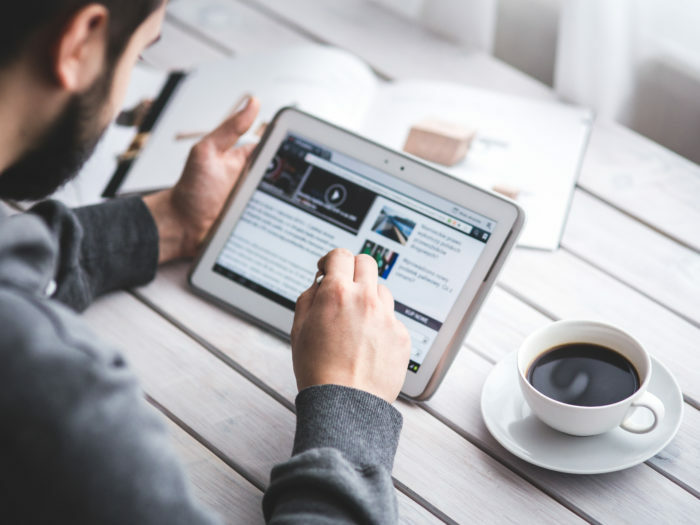 Learning about these small things can provide you with a solid understanding of why people don’t convert or even give you ideas on how to improve your user experience to boost conversion rates. Now to make sure you’re correctly measuring conversion rates you need to check if your traffic is coming from social, search, paid search, video platforms or other referral sites. Is your traffic temperature hot, warm or hot? Where is the user in your SaaS funnel? Someone who’s visited your site a few times would be more likely to take you up on your offer. That’s not the case for someone who landed on your demo page for the first time. This brings us to the overarching multi-channel strategy. Does your enterprise PPC management service provider use an overarching multi-channel strategy? 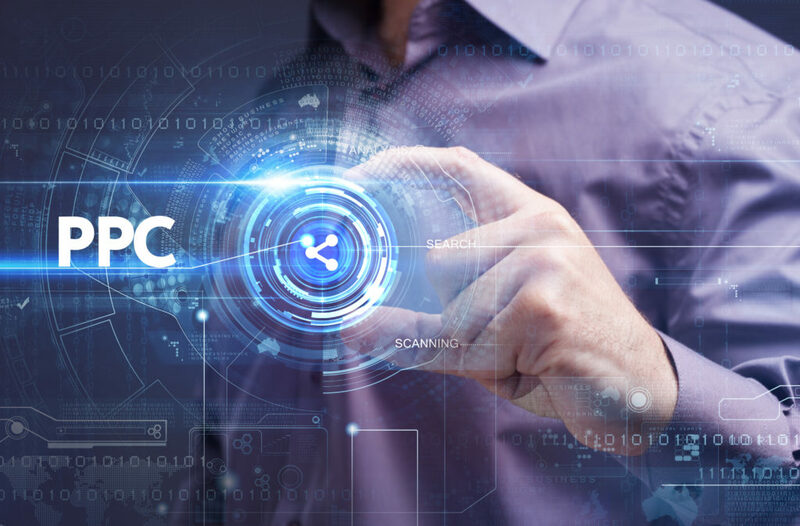 In a general sense of the word when someone mentions PPC, most marketers immediately think about Search Engine Marketing, but not always YouTube Ads or Facebook Ads where you could use a CPC based media buying model. The big media giants like Facebook Ads, Google Ads, LinkedIn Ads, Twitter Ads, and Pinterest Ads let you use engagement-based audiences in their platforms to create strong remarketing campaigns like Google’s smart retargeting campaigns. Depending on the source of your traffic you can create remarketing audiences that take into account where the user came from, what creative they saw and how engaged they were with the ad-copy. This is crucial information to understand for each user so you can continue to successfully push the user down your marketing funnel in a customized and relevant way that isn’t annoying your potential buyers. 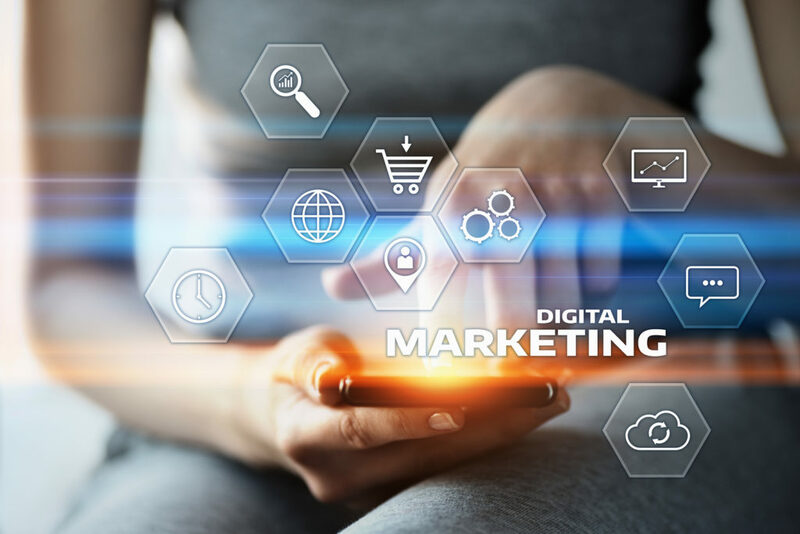 Now your remarketing campaign message should be as customized as possible for each platform and the type of customer avatar you’re trying to attract. Your remarketing campaign should naturally flow into each step of your SaaS marketing funnel. You know, that marketing funnel you meant to set up but didn’t quite get around to yet? This is where your enterprise PPC management service provider should be able to step in! 4) Choose an Enterprise PPC management service provider that can help design and support a comprehensive marketing funnel for your SaaS company. Your SaaS PPC provider should have a couple of working sessions with you where they can tell you on the business objectives for each platform, marketing KPIs for each platform and campaign types. These should naturally fall into your business objectives. You and your agency should work out clearly defined KPI goals for each step of the user journey, each platform, channel, and campaign types, depending on what creative you’re using. You might end up using a specific video ads format, canvas type ads, carousel ads, expanded text ads, responsive display ads or simple display ads. As you think about the creative types you’d like to run, before you start deploying your digital campaigns, you should consider designing a simple and effective funnel to help speed up user acquisition. Think of it like plugging a leaky bucket to make sure you’re not losing potential customers along their user journey. Designing funnels can be tricky and are as much a science as it can be art since it requires a creative but systematic approach. The funnel should address user pain points, and you should be working with your PPC agency to ease them, as customers engage with your brand at various touch points. You already have a funnel, but your close rates are abysmal, and you can’t understand why. Again, this is where your enterprise PPC management service provider should be able to step in, to help you solve this problem. Some of these beautiful marketing automation tools could be Active Campaign, Drip.com, Constant Contact, Mail Chimp, Act-On, Infusionsoft, Salesforce or Hubspot to name a few. You should be able to store your customer data inside the marketing automation platforms to grow your email marketing lists and drive your sales further. Now, some enterprise-level PPC management service providers do offer marketing automation as an extra service, so you should ask them if this is something they offer. Find out if your potential service provider can help support these initiatives for you. 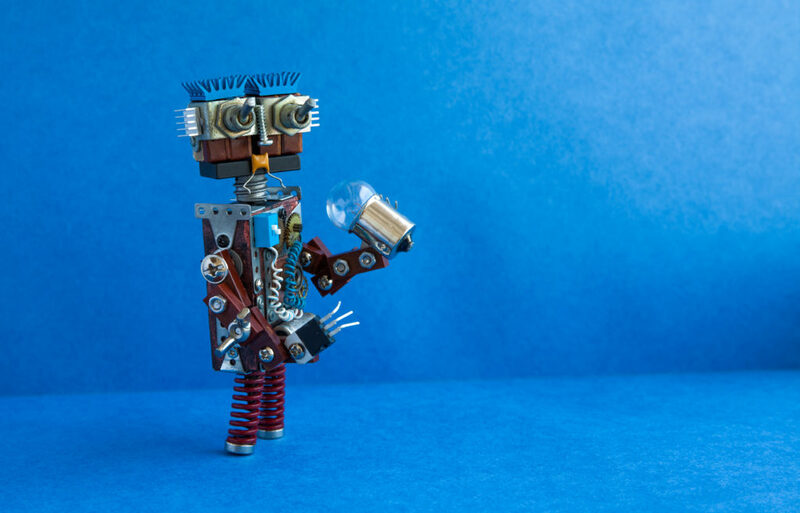 There are plenty of agencies that have excellent support and agency partnerships with various marketing automation providers, but that’s not always the case. From our experience, connecting your advertising data to sophisticated marketing automation campaigns that funnel your users correctly, is a critical component in nurturing your hard-earned SaaS leads and converting them into paying customers. Leveraging a platform that can help you score your lead accurately is another aspect of lead nurturing, most SaaS companies overlook. After all, an MQL and SQL are very different, right? Have you ever had “those conversations” with your sales team? Marketing Team: Why can’t you close the leads? Sales Team: Your leads are weak and poor quality. Designing a sophisticated funnel and scoring your leads with a clear KPI score assigned to different types of leads, is mission critical. You must qualify your leads accurately so your sales team can succeed. There is a limit to how much of a fit the users are for your business, and you have to find them. It’s just as critical to understanding which users are NOT right for your SaaS, as that can cause a lot of issues down the line with churn-rates, killing your SaaS growth. Thus, it brings us to the ultimate question of how to discover the right audience, how to manage it within your advertising ecosystem, report on it and ultimately segment it as well. 6) Does your enterprise PPC management service provider know how to manage your audiences, report on and segment them? Top PPC agencies that service enterprise level clients understand what it means to manage audiences across different advertising platforms. 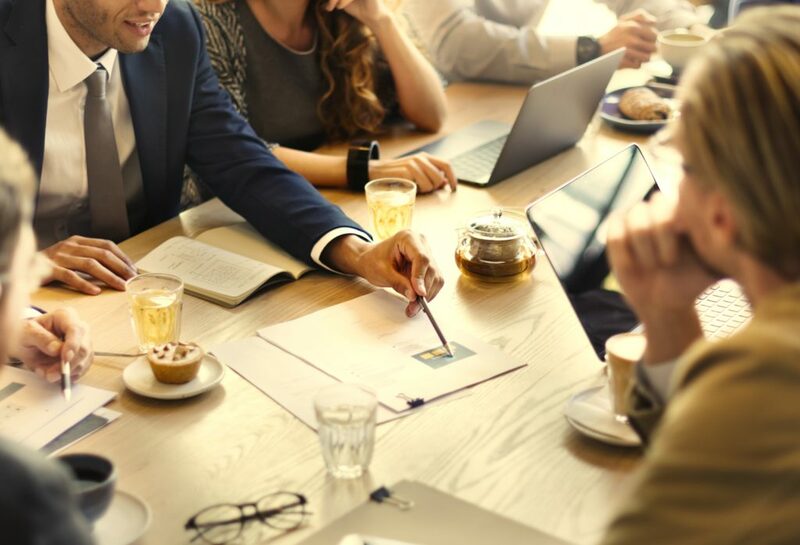 In a nutshell, enterprise PPC agencies know what it means to pick the right CRM, an affordable DMP, how to segment and report on them in such a way that helps you pull out valuable insights that reduce churn. You should be managing most of your remarketing audiences for Google Ads inside of Google Analytics. While some other types of audiences like In-Market Audiences or similar audiences would be housed inside of Google Ads. Similarly, Facebook Ads audiences live inside of your Facebook Ads Manager platform. All these platforms, as a best practice, should use Google Tag Manager to track all audience’s activity. Also, you can use auto-tagging features for your SEM activity, or hard-coded UTM parameters for Facebook Ads, although Facebook does offer dynamic UTM tracking now as well. Depending on how deep you want to go down the “data rabbit hole” and how well you track your SaaS lead activity across different marketing properties you can begin to close the gap on “poor audiences” that increase churn rates. If you manage your audiences well, score them accurately and follow their journey from start to finish. Use Google Analytics, a CRM, an engagement scoring platform like Act-On, a marketing automation platform like Active Campaign, Marketo or Salesforce products. 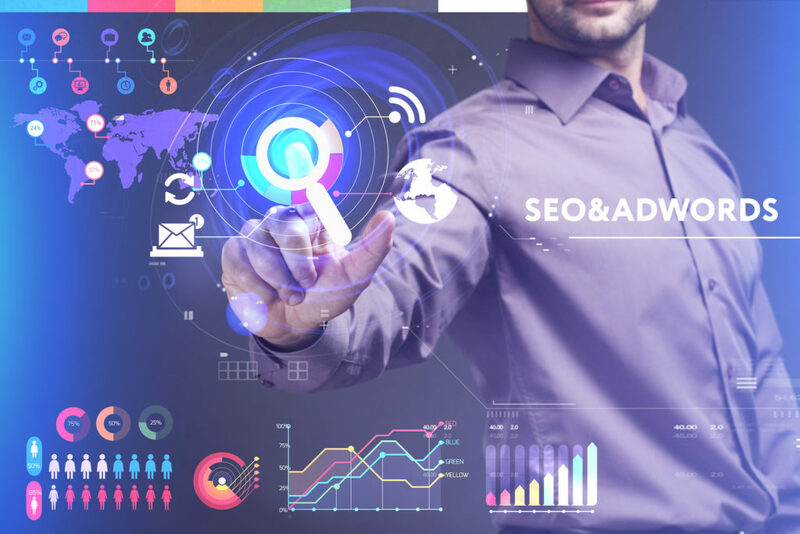 Your enterprise focused PPC agency should be able to accurately report on various types of users and their performance across platforms, creatives and so forth. Getting actionable data insights from your marketing dollars means you can be efficient as you scale. Almost every marketing strategy or tactic nowadays in the SaaS space needs to be scalable. We find that the digital medium is best for this because you can hit millions of people in different sectors with various messages and gather data quickly. That’s how you can grow at a much higher rate. if you want to deploy scalable digital campaigns, optimize quickly, and manage huge audiences across different advertising mediums. Audience management platforms, optimization tools, big data are here now. Your provider should be deploying and testing ideas quickly, as they get insights using Machine Learning and actioning it with AI. These tools sound like a nice to have, right? These tools are no longer a “nice to have” in 2019, but a “must have” if you want to grow at an exponential rate. Otherwise, you can’t maintain your competitive advantage. Now if you want to scale, you need to consider optimizing your landing page conversion rates across different campaigns. There are a lot of tools out there, and Google Optimize 360 is one of them. The Google Marketing Platform ecosystem, although pricey, has unique capabilities. This is especially true if you know how to leverage the entire ecosystem together. You’ve asked your enterprise PPC management service provider if they can execute on multivariate testing at scale, what do you do next? Knowing your data is critical if you want to scale, but so are the creative aspects of advertising online. For some reason, analytical agencies don’t produce the best creative work. As you launch your digital SaaS acquisition campaigns, one thing that a lot of companies get wrong is failing to design creative in such a way that maintains branded ad-scent consistently across all their advertising efforts. We can’t tell you how many times we’ve clicked on a Facebook ad and landed on a page that didn’t feel like the original ad. We asked ourselves if we were even in the right place. This approach will kill your conversions at the speed of light, especially if you’re in the e-Commerce space. Ok so, your future provider can do all the things above, but did you ask them if they can offer bid-strategy testing? Not every agency knows how to execute this properly without taking the risk of losing a lot of conversions during the 2-3 month test-period, as they look into bid management platforms that often don’t deliver on the promised R.O.I. Don’t get us wrong here. We love bid strategy testing, and experiments and we love running them. If you want to scale the performance of your PPC campaigns on Google or Facebook Ads, testing is critical. You’ve designed your marketing SaaS funnels, scaled ad spend, got the right marketing stack in place and now you’re gathering insights about your audience. Did you PPC management service provider mention how critical it is to implement user segmentation into your marketing funnel, so you can use “dynamic” or “personalized” messages across your entire marketing stack to boost the bottom line? Again, most PPC agencies don’t have these capabilities, so you may have to look outside your potential PPC management service provider to get a sophisticated user segmentation solution provider. There is a whole range of tools and services around this topic online like Segment.com and many others. Your enterprise SEM provider should follow Google’s recommendations around account structure setup. 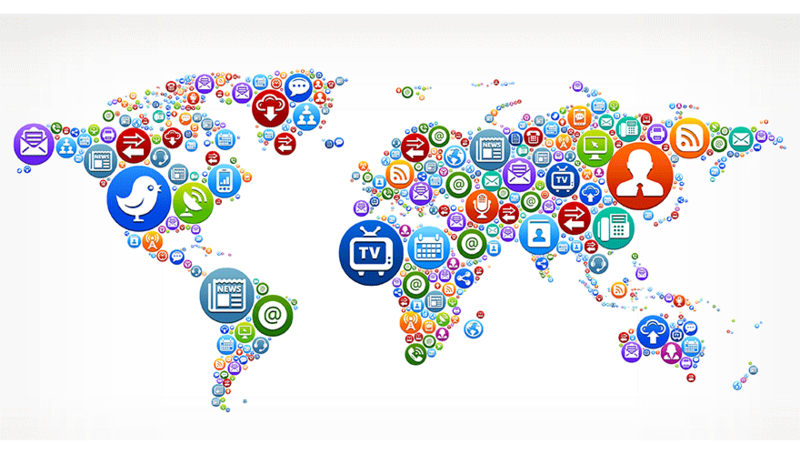 This means having all the keywords organized into tightly themed ad-groups inside your highly geo-targeted campaigns. Your brand and non-brand campaigns should be separated into their ad-groups with the brand and non-brand keywords. Different products or services you offer should be put into separate campaigns with relevant ad-groups and tightly themed keywords inside of each ad-groups. Your keywords should be included in your ad copy, and you should use 3-6 new expanded text ads in each ad-group. The SEM campaigns should use specific settings for geo-targeting, a manual bid strategy or a more automated bid strategy. 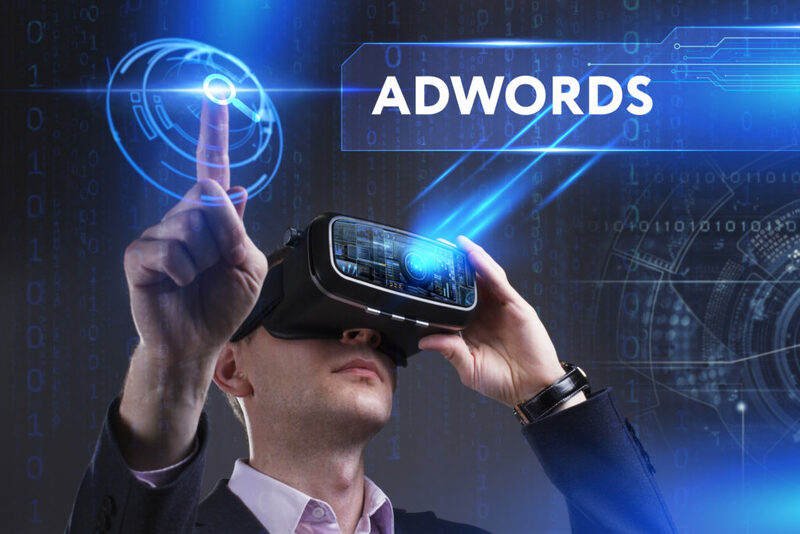 Your enterprise PPC management provider should focus on optimizing performance based on set KPIs and specific business objectives defined as conversion actions inside of Facebook Ads or Google Ads. 9) The cherry on the cake that can help you maintain your competitive advantage is a modernized enterprise PPC management service provider that can use AI-powered technology and Machine Learning to boost PPC performance. Why use any of these tools and what does it mean if your agency of choice is using them? Bid management tools are precisely what they sound like. They manage your PPC bids throughout the day across different media buying platforms like Facebook, Google DoubleClick, Google Ads, YouTube, LinkedIn Ads and so forth. So what’s the importance of managing bids? If you know how media buying works today across almost any platform, it’s auction-based, and for you to be successful, you have to bid higher or bid lower than your competitors. Thus, these bid management tools can help you bid up or down during the times when it’s critical for you to get a sale or get a user from mobile or desktop. Sometimes it makes sense to bid up or down, depending on the time of the day, device, location, type of audience, a user interest or placement you want to appear on. It depends on the medium you’re bidding on, type of ad, type of placement and daily budget that you have if you want to maximize your media buying performance on PPC platforms. More often than not, most users are going to click on your ad, but they’re never going to convert, and using more sophisticated AI platforms or automated bidding can help you save marketing and remarketing dollars by not going after those audiences. This is where AI can make sense of your analytics to create thousands of decisions on buying media efficiently. It can also save you money, by reducing your Cost Per Acquisition and improving the media buying process altogether. If you loved this article, leave us a comment below, share it out on social media by clicking the share button. If you want to chat with us, send us a message.